Susan Tolles is The Reinvention Strategist for Professional Christian Women, whose clients surround the globe. She is a passionate advocate for professional women, equipping and motivating them to envision more and reach higher, building a career they love without sacrificing their personal wellbeing. Susan's expert guidance leads them to acknowledge their unique value, follow their life's purpose, and lead with influence and authenticity, with a strategic plan for success by their own design. Susan is a contributing author to five collaborative books for empowering women, and has spoken to audiences across the nation on topics including extraordinary leadership, work/life balance and conquering perfectionism and procrastination. She is a currently an expert writer for Today's Innovative Woman Magazine and Wellness Woman 40 and Beyond Magazine, and has been featured in More Magazine, The Wall Street Journal, Austin Woman Magazine and Fox 7 Good Day Austin. In addition, Susan is the Austin Market Director for Mentoring Women's Network, providing leadership development training and a nationwide association of mentors to the Central Texas Region. As a professional speaker and trainer, Susan Tolles has a spark and energy that lights up a room and reaches the heart of her audiences, inspiring and motivating them all. As she shares the experiences and wisdom from her personal midlife reinvention and varied leadership roles , Susan encourages others to dream big and step out in faith as they create their own extraordinary lives, following her example. Through Susan's dynamic coaching, workshops and keynote speeches, she personifies “flourishing from the inside out,” as she radiates enthusiasm, confidence and grace. Susan is very easy to work with, and spends time getting to know your group to provide the highest value to for the participants. Her presentations are always customized to fit her audience's needs, and may be presented as keynotes, motivational speeches or workshops. 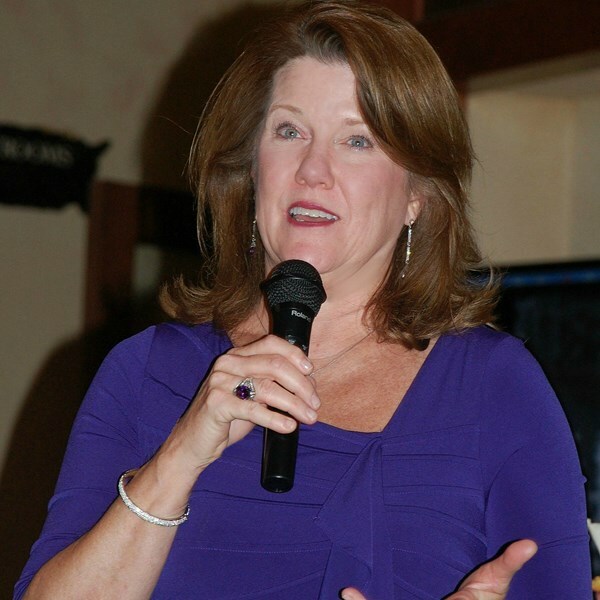 Susan's highly inspiring speeches will guarantee you rave reviews for your event. 3 KEYS TO EXTRAORDINARY LEADERSHIP: How to Lead So Others Will Follow. Are you destined to be a great leader? Truly Extraordinary Leaders do more than manage—they make their mark on the world through their words, attitudes, values and relationships. In this presentation, Susan will share key principles that leaders must practice so others will become passionate and loyal followers, from the booster club to the board room, along with the single most important trait to guarantee success. FROM PARALYZED TO PRODUCTIVE: Conquering perfectionism and procrastination to reach your highest potential. Perfectionism and procrastination are two of the most common roadblocks to success, paralyzing us from taking action while causing stress and low self-esteem. Instead of being productive, we get stuck in a never-ending cycle that keeps us from getting things done. In this custom-tailored presentation, Susan shares strategies to break free from perfectionism with confidence and self-acceptance, and steps to take action when you are stuck in neutral. ARE YOU FOCUSED OR FRAZZLED? Five keys to finding the balance when you're overworked, over-stressed and unfulfilled. Today's busy professional women are leading fast-paced lives trying to manage the universe,” juggling home and family as busy professionals, community volunteers and caregivers. Stress brought on by the effects of this frenzied pace can lead to anxiety, depression and physical fatigue. Self-care is critical to a woman's ability to sustain her physical and emotional wellbeing. Susan's key steps will help them FOCUS to calm the chaos when they are overwhelmed and unfulfilled. Please note Susan Tolles will also travel to Manchaca, Del Valle, Buda, Kyle, Cedar Creek, Dale, Manor, Mc Neil, Pflugerville, Driftwood, Lockhart, Maxwell, Round Rock, Cedar Park, Elgin, Red Rock, San Marcos, Spicewood, Leander, Bastrop, Dripping Springs, Wimberley, Martindale, Coupland, Staples, Fentress, Hutto, Mc Dade, Prairie Lea, Rosanky.